Texas Rangers’ Korean outfielder Choo Shin-soo hit a go-ahead single and a three-run homer in a 10-run third inning that chased $122 million pitcher CC Sabathia from his shortest start in six years. It was Choo’s first four-RBI game of the season and only second in the past four years. He has 22 RBIs for the year. Choo’s home run was his seventh of the year, and his batting average, which was down to .096 just 25 days ago, is all the way up to .238. 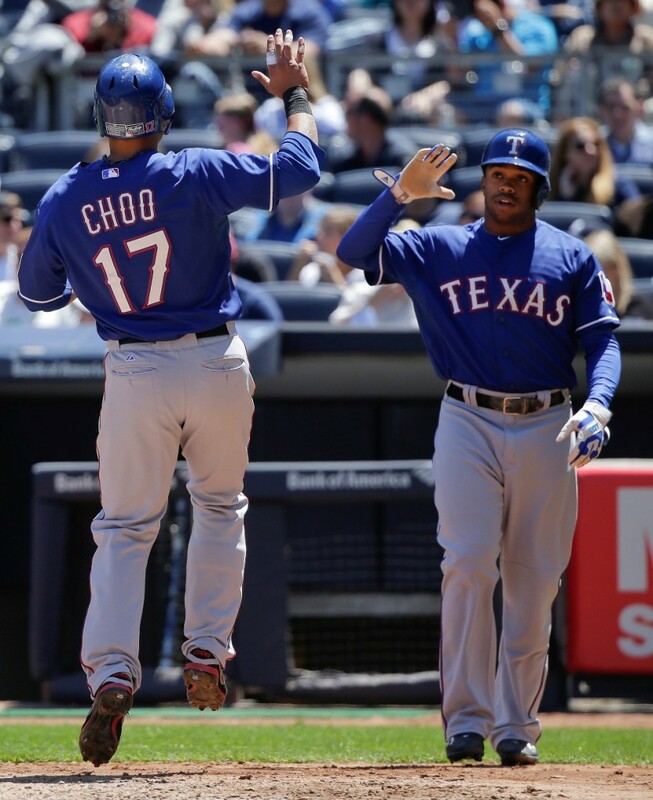 The Rangers improved to 20-23 with 15-4 win over the New York Yankees (22-11).